Whether your system is down for a few hours because of scheduled maintenance, you have a short-term job, or you’re dealing with an emergency breakdown requiring serious repairs, A & W Compressor’s air compressor rental services can keep your business up and running with minimal downtime or expense. Having been in business since 1982, we understand better than anyone that your compressor doesn’t care what time it is; accidents and breaks can happen in the middle of the night, and they need to be addressed immediately. With this in mind, A & W Compressor offers 24/7 service and a large inventory ready to go at your request, providing fast, affordable air compressor rental to the state of Tennessee. We keep a number of different types, sizes and capacities in stock to provide you with lightning-fast service when you need it most. We understand your specific compressed air rental needs. Did you know most portable diesel/gas compressors can damage or destroy your expensive compressed air treatment equipment; such as air dryers or line filters? That is why we specialize in electric rental compressors, which feature lower discharge temperatures. Plus you do not have the added expense and trouble of having to fuel the compressor. 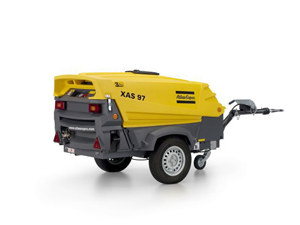 In addition to the 5hp to 250hp range of electric compressors we keep in stock, we have larger sizes and more options available at your request. Plus, A & W Compressor not only stocks air compressors for rental; we can provide the entire compressor system to accommodate for virtually any need. Call or e-mail A & W Compressor today to learn more about air compressor rental for your company in Knoxville, Nashville, Maryville, Johnson City or elsewhere in Tennessee. We’re standing by to help you 24 hours a day, seven days a week.